EZ Shape is an easy-to-use, wax-based modeling clay that never dries out. It sticks to itself with just a small amount of pressure, making it easy for youngsters to form fun shapes and figures. For children age four and older. 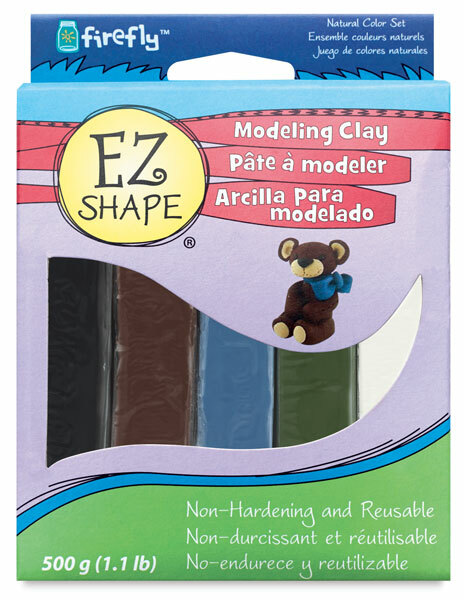 This set contains 1.1 lb (500 g) of EZ Shape Clay, including Black, Brown, Blue, Green, and White. ® Sculpey is a registered trademark.® EZ Shape is a registered trademark.